Scamander Sanctuary Holiday Park: Scamander Accommodation, Scamander Caravan Park, Scamander camping, unpowered and powered camp sites and caravan sites, self-contained safari tents. Family friendly and peaceful with private access to beach and nature reserve. 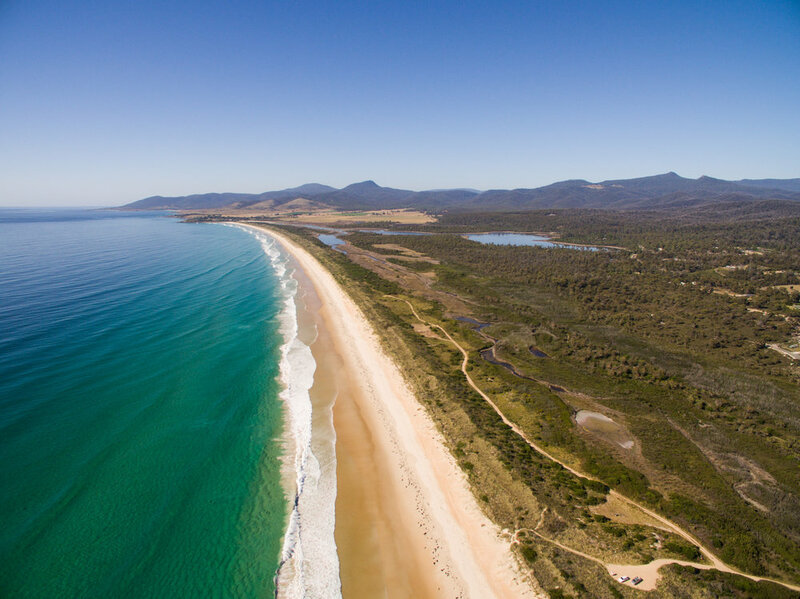 Scamander Sanctuary Holiday Park offers self-contained accommodation and camping on the East Coast of Tasmania. Just an hour South of Bay of Fires, and an hour North of Wineglass Bay, it's the perfect accommodation base to explore the gems of the East Coast. The holiday park is a short 25 minutes North to St. Helens and 35 minute drive North to Binalong Bay. And head South for 40 minutes and you'll get to Bicheno with the Penguin Tours and the wildlife park - East Coast Naturepark. Experience a taste of the outdoors while "camping" in true comfort and style in a permanent safari tent or bell tent, or book a powered or unpowered camp site and soak in the surroundings. The surrounding area is peaceful and relaxing, making it a fantastic hub to explore the surrounding tourism attractions like the Bay of Fires and local vineyards and wildlife parks while being immersed in the natural beauty of Tasmania. You can hear the waves crashing from the accommodation and camp sites and there are plenty of walks to enjoy at the park's doorstep. Scamander Sanctuary Holiday Park was rated a "Top Pick" accommodation provider by Lonely Planet in 2015 and it's not surprising given the unique experience the park offers guests. The holiday park is family friendly and has fantastic facilities to make for a great stay including private clean shower stalls, free communal BBQs and camp kitchen and an impressive children's playground. Read more about our powered and unpowered camp sites and caravan sites. Discover our luxurious bell tents. They offer a completely unique tenting experience. Find out more about our self-contained safari cabins. Perfect for families and couples. Have an amazing glamping experience with your family, or with a group of friends.